Congratulations goes out to OFFshore ITRH Chief Investigator, Greg Ivey, who has recently been elected a Fellow of the Australasian Fluid Mechanics Society (AFMS). AFMS is an independent, non-profit society that supports and fosters interest in fluid mechanics and related disciplines in the Australasian region. AFMS provides a forum through publishing and promoting relevant material to Government, institutes and the public. The AFMS also oversees and supports the Australasian Fluid Mechanics Conference (AFMC) series. The Fellowships are designed to recognize outstanding achievement, provide inspiration and mentoring to younger members of AFMS and to provide a resource of experienced fluid mechanicians. 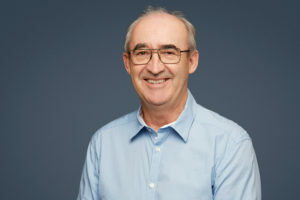 In Greg’s instance, the panel recognised his “outstanding contribution to the cause of fluid mechanics domestically and internationally”, with his work on ocean mixing, internal waves and currents in both the coastal and open ocean environments. Greg will be awarded his Fellowship at the upcoming 21st Australasian Fluid Mechanics Conference (AFMC) in Adelaide on December 12th 2018.